Have you considered the Vacation Checklist for your home? 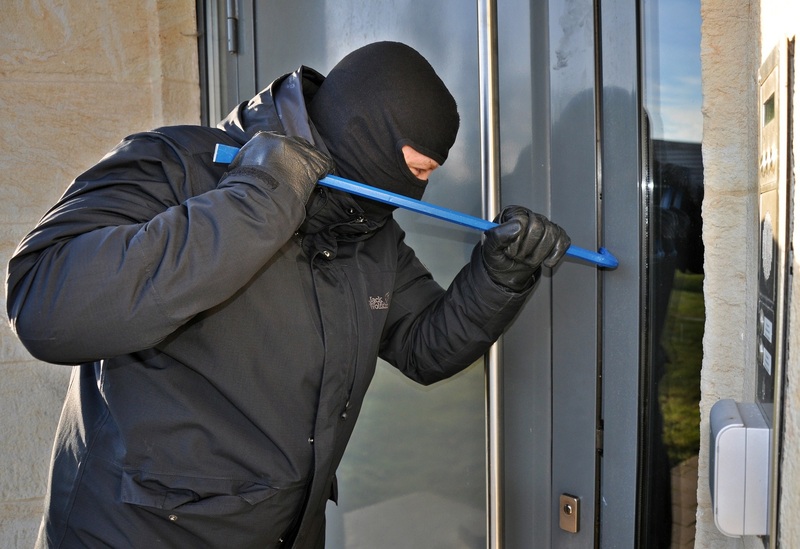 l Five percent of U.S. households experience an attempted or completed burglary each year — that’s one out of every 20.
l 13,000 burglaries occur in the U.S. every day, about one every 15 seconds. l Two-thirds of all burglaries in the U.S. are perpetrated at residential households. l The average burglary takes seven minutes to complete. l Eighty percent of illegal entries are made through a locked door. l The average loss per burglary is $1,400. l The perpetrator of burglaries usually lives within one to two miles of his victim. l If you have hollow-core doors, knob-only locks, or windows in your doors, replace them with solid-core, windowless doors. Install deadbolt locks. l Replace loose screens on windows, repair broken latches and cracked windowpanes. Be sure to close and lock all windows. l Trim back shrubbery around windows and doors so that none of your entrances or windows are obscured from the street. Heavy, concealing foliage is an invitation to a burglar. l Never, under any circumstances, “hide” a key outside of your house. The burglar has already thought of every clever hiding place you come up with. And forget about the hollow fake rocks sold in hardware stores — they don’t even fool children. l If you’re traveling in the summer, turn off the water heater, whether it’s gas or electric. Turn your air conditioning on to about 82 degrees to control humidity. If it’s a winter getaway, leave the pilot light on your gas water heater or turn your electric water heater to the coolest setting. Turn your thermostat down to about 50 degrees. l Clean out the refrigerator and cupboards of perishable foods so you don't come home to an out-of-control science experiment. Turn off your ice maker — these have been known to continue producing to the point of pushing open the freezer door. l Unplug all televisions, stereo equipment, computers, and other electronics in case of a lightning surge. l Have a trusted neighbor or friend hold a spare key to your house and check on the house periodically — if a water pipe does break or you did leave the iron on, your friends can prevent complete destruction of your home. l Pay a neighborhood kid (one you know is responsible) to pick up your mail and newspapers. If you can’t find one, put a stop on at the post office and call the newspaper delivery service. l Ask a neighbor to drag one of her garbage cans in front of your house on trash day and to occasionally park in your driveway. l If you have an automatic sprinkler system, be sure to leave it running. Have someone come mow your lawn or rake your leaves while you’re gone. l Put timers on some of the lamps near your windows so that they will light at dusk and shut off at the time you'd normally retire. l Install motion-activated lights in the front and back of the house. l Turn the ringer down low on all phones — that way a burglar won’t be alerted by an endlessly ringing phone. l Put a “Beware of Dog” sign in your window even if you don’t own a dog. l Secure storage sheds, attic entrances, gates. l Call your local police to let them know you’ll be traveling. Many departments have programs that send patrol officers out to your home, even walk around your yard while you’re away. l If you must park your car in the driveway, be sure to remove garage door openers and house keys, and lock the car doors. l Move small valuables — jewelry, credit cards you won’t be using — to a safe-deposit box or safe. l Check with your police department to see if they have a property ID program, such as etching Social Security numbers on valuables or videotaping. Following this advice may decrease the chances of a break-in or appliance tragedy by a good percentage. And, you'll increase your own peace of mind and be more relaxed while you're vacationing.